Dan and Stephanie Gregory, the local experts in Raleigh and Wake Forest senior care, take great pride in knowing they have helped hundreds of local families evaluate their social, physical and financial needs for care. Their unique approach aides in the transition to environments that allow seniors to maintain dignity and respect while receiving care. The Gregory's primary goal is helping families understand all the available options and be in a position to support through the transition once a family decides on their best course of action. They have strong relationships with hospitals, social workers, senior communities and senior resources throughout the area. There is no charge for the initial nursing assessment or for senior living referral services. All caregivers are licensed, bonded and insured to provide the safest and highest level of care. We're here to help - call us now: (919) 554-2223. Are your staff that deliver in-home care in Wake Forestinsured and bonded? Yes! All of our caregivers are insured, bonded, and covered by worker's compensation. We can assure you that our caregivers are some of the best in the industry and will provide the most compassionate care for your senior. You're not going to have a worry in the world when one of our caregivers providing in-home care in Wake Forest are working with your loved one. How are Always Best Care's staff that provide home care in Wake Forest vetted? The vetting process of our caregivers who provide elderly care in Wake Forest is one of the most stringent and intense in the area. That's because we want to ensure that we are only bringing the best onto our team. All potential candidates must go through a thorough background check, criminal record check, interview process, and a review of their professional history and references. Once they go through this process, we know are confidence will be well placed in the team we choose to provide care for your loved one. What hours do your staff provide elderly care in Wake Forest? We have staff members who are available 24 hours a day, 7 days a week, and 365 days a year to provide senior care in Wake Forest. No matter when your senior requires assistance, there's going to be someone there for him or her - whether it's their regular caregiver or another one of our highly qualified team members. We aim to ensure that every single senior in our care knows that there's never a time in the day when they can't request assistance. Will my loved one have the same caregiver to provide them in-home care in Wake Forest on every visit? When it comes to our elderly care in Wake Forest, we want to make sure that your senior is cared for by the same caregiver during every visit. One of our core beliefs here at Always Best Care is that it's crucial for a long-term and trusting relationship to develop between our caregiver and your loved one. These kinds of positive relationships take a long time to develop and for trust to build between the two, which is why we aim for consistency where it concerns our caregivers. However, it's not possible to provide the same caregiver 100% of the time. There may be times when your senior's regular caregiver is not available because of scheduled time off or illness. Whenever that happens, you don't have to worry! We have a very organized schedule full of different caregivers who can step in and care for your loved one until his or her regular caregiver gets back on the job. How will my loved one be matched with thecaregiver that's responsible for providing their home care in Wake Forest? We take our matching process for senior care in Wake Forest very seriously here at Always Best Care. One of the most crucial parts of the senior care process is ensuring that your senior is working with a caregiver that he or she feels comfortable with and will develop a trusting relationship with. That's why we have worked to refine our matching process to be as accurate as possible. First we'll take into account the preferences and desires of your elderly loved one. Then we'll match those with the personalities, strengths, and weaknesses of our highly qualified caregivers. By that point we should have a great match. However, if for some reason a match isn't found the first time, we will try and try again until we find the perfect caregiver for your loved one. How are your caregivers trained to provide senior care in Wake Forest? All of our caregivers providing home care in Wake Forest are among the most highly trained and educated in the area. You're simply not going to find any other providers of senior care who have as intensive training programs as ours. Before any caregiver can work with a senior, they'll be trained on various topics like communication methods, different activities to be done with seniors, basic and advanced safety procedures, and how to catch symptoms of illnesses. When we go through and complete this training, our caregivers are prepared for any eventuality. You will have absolutely no worries when our caregivers are in charge! Why should I choose your home care in Wake Forest instead of an independent provider? This is a fantastic question. There are plenty of independent caregivers out there who provide senior care in Wake Forest and many of them may seem tempting with low price points and tons of services offered. However, most of the time, this is simply too good to be true. When you go with Always Best Care, you are signing onto years of compassionate care that we have provided in Wake Forest. Independent providers simply can't match the standards of excellence we have set for ourselves and our caregivers. You won't find any provider who can give your senior the level of care that we can. How quickly can my loved one expect to begin receiving in-home care in Wake Forest? A great part of hiring Always Best Care for your senior is that it only takes about a week from your first phone call to your senior being matched with one of our expert caregivers. When it comes to senior care in Wake Forest, we know that you don't want to wait around for a caregiver to start working with your senior. That's why we aim for the process to go as efficiently and quickly as possible. What role do family members play in their loved one's elderly care in Wake Forest once a caregiver has been hired? Many family members worry that when they bring a caregiver into the picture to provide home care in Wake Forest, they are going to forfeit their role in the care of their senior. However, this is simply not true with Always Best Care. Our highly trained caregivers are going to work with you to ensure that you still play a big part in the life of your senior. All of our programs are highly customized based on each senior and family member. How do I know if Always Best Care is the right choice for in-home care in Wake Forest? There are plenty of providers of senior care in Wake Forest. How can you possibly tell which one is going to be best for your senior? Well, we can speak for the years of high-quality service we have provided to seniors across the Wake Forest area. You will definitely not be disappointed when you go with our services - many other seniors have been very pleased with our assistance. What steps are taken to ensure that my loved one's in-home care in Wake Forest is safe? Safety is our top priority when it comes to providing in-home care in Wake Forest. You're simply never going to have to worry about the safety of your senior when we have our highly qualified and professional caregivers on the job. We provide all of our caregivers with copious basic and advanced safety training. In addition, while employed by Always Best Care, they will receive regular updates on those trainings. Do you provide in-home care in Wake Forest for individuals suffering from Alzheimer's or other forms of Dementia? Of course! We know that there are plenty of seniors out there who are suffering from conditions like Alzheimer's or other forms of Dementia. That's why we want to ensure that your senior is taken care of properly. 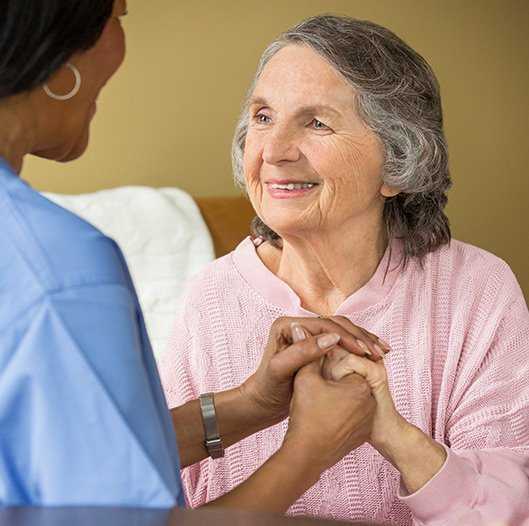 All of our caregivers providing non-medical In-home care in Wake Forest are properly trained on how to work with Dementia patients and what their special requirements are. Every senior has special needs and we want to ensure everyone is taken care of properly. If I choose your in-home care in Wake Forest, what type of services can my loved one expect on a day-to-day basis? There are plenty of family members out there who are already taking care of their seniors. However, it can be tough for a family member to always be there for their loved one, especially when illness sets in or they just need a little vacation. When that happens, Always Best Care is there to step in. When it comes to respite elderly care in Wake Forest, our caregivers are ready and willing to take over in those short periods of time when you might need a little break.